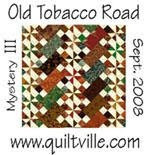 Our county fair is where we have our quilt show every year. It was the first week in October. Here are a few pictures from the fair. Enjoy! This is one of my quilts. I won 2nd place. This was one of Gyleen Fitzgerald's mysteries this summer. The name of this one is "Garden of Eden". This was my quilt. The Pattern is Sunset. 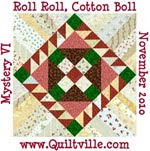 It was my class from QSC quilt retreat 2012. The pattern did not have these borders. It just stopped and had a plain border. After making the continuous border I can understand why. This was a challenge. I won a blue ribbon for this quilt. This is another Gyleen Fitzgerald mystery. The name of this one is "2 into 1" I won a blue ribbon and best use of color for this quilt. 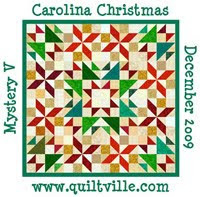 The funny thing, the local newspaper put a picture of my quilt in the paper for winning Best Use of Color, the picture was in black and white. Go figure??? This is an applique quilt that I quilted for P.T. She did a great job and won best senior quilt.